I hope you all enjoyed your great Labor Day weekend!!! 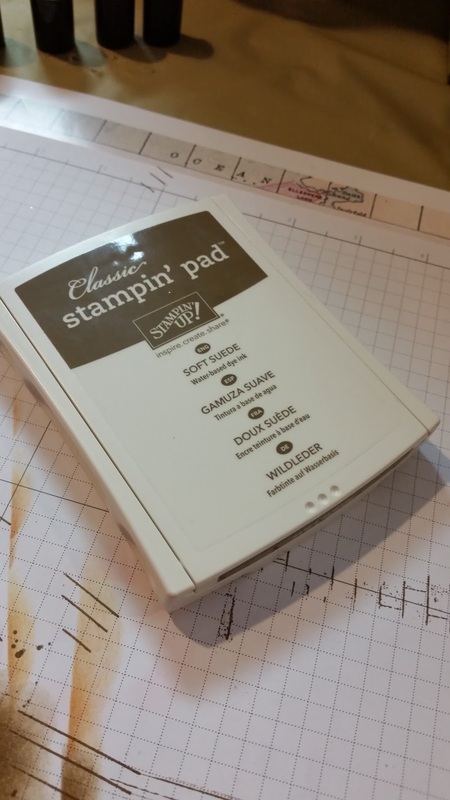 Today I am going to share a few tips and a little trivia about Stampin' Up! 's foam ink pads. While I do still have some old ink pads as well, these new ink pads are just AWESOME!!!! 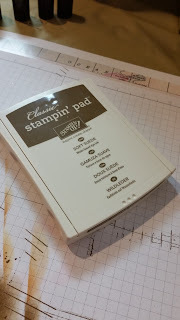 1) Lightly tap on your ink pad when inking your stamp. Light tapping produces crisp images and will completely cover your stamp whether it be a wood, clear mount or photopolymer stamp you are using. Note: This is because the ink pads are juicier then the old ones and release more ink on your stamp producing nice strong images. 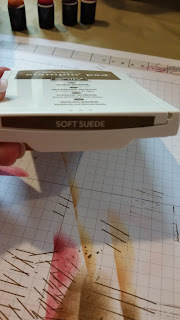 2) Use the color label on your ink pad. When you first get your ink pad you will see on the bottom stickers that have the ink color all set to add to your ink pad. Simply take the sticker in the language you wish to use and add it to the side of the ink pad. Note: This will always have you knowing exactly what color you have when you are looking for that perfect ink pad. 3) Always store your ink pads flat. These ink pads use the same patented flip-top case design that stores the inking surface upside down so the ink is always at the top of the ink pad. 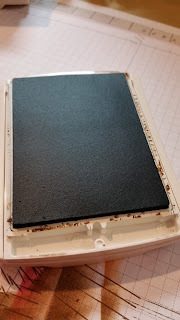 Note: Storing your ink pads upright may cause leakage and a yucky mess. 4) Make sure to re-ink your pads often for heavier used pads. With these new pads you may just have to re-ink a little bit more if you are using certain colors more frequently. Simply take your re-inker, add some drops in a swirly motion on your pad, and use a plastic spoon to frost over the top of the pad to evenly distribute the ink. Note: Not re-inking your pads that are used more will result in uneven stamped images. I hope this helps a little bit! Thanks for stopping by and stay tuned for more product tips. Clearance Rack .....Don't miss out! 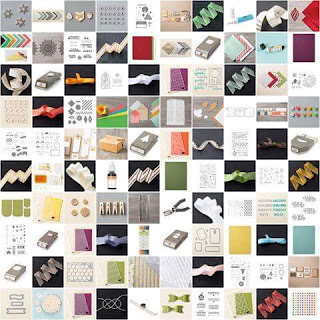 I got to stash up on paper, glue pens and mini clothespins. Everything is while supplies last so definitely grab things when you see them. There are fun spider web dollies for those great Halloween treats, stamp sets, and lots of ribbon and fun embellishments. If you have any questions please don't hesitate to contact me. Wishing you all a great evening! !